Kubota Tractor Corporation of Grapevine, Texas, is recalling about 121,000 model year 2014 to 2018 Kubota ZD, ZG, BX, GR diesel and gasoline powered zero turn mowers, compact tractors and ride on mowers. The coolant reserve tank cap may be blocked; in the event of an overheat condition coolant can be expelled. The company has received two reports (with a possible third) of if injuries from expelled coolant. The recalled units come in orange and black, with the model number on the side of the unit and on the data plate on the side of the unit. The serial number is also on the data plate. 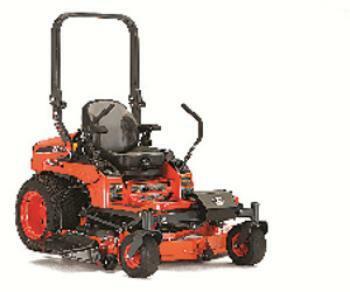 The lawn equipment, manufactured in the U.S., was sold at authorized Kubota dealers nationwide from 2014 – 2018 for between approximately $5,000 and $35,000. Consumers should immediately stop using the recalled units. Customers will be sent a replacement cap and may in the interim take the unit to an authorized dealer for a repair of the cap at no charge. Consumers may contact Kubota at (888) 4KUBOTA from 8 a.m. – 5 p.m. (CT), Monday through Friday or by email at https://www.kubotausa.com/contact/form.